Isles insider Andrew Gross drops a bomb! It’s a season of change ahead for the 2018-19 New York Islanders. 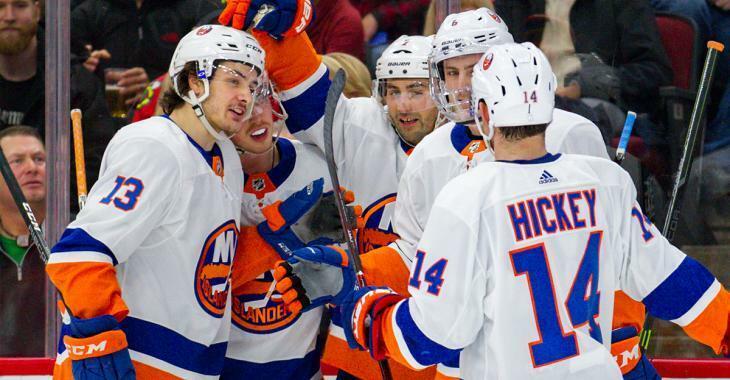 With longtime captain John Tavares now out of the picture, the team turns to new faces like 2018 Calder Trophy winning forward Mathew Barzal and 2018 Stanley Cup champion head coach Barry Trotz to help guide the team forward. Lost in all of the comings and goings of the Islanders’ offseason is the fact that three of the team’s top six forwards are slated to hit the unrestricted free agent market and could walk away from the team for nothing, as Tavares did this past offseason. Islanders insider Andrew Gross of Newsday warns fans not to get too attached to Anders Lee, Jordan Eberle and Brock Nelson, as all three players could be move before the trade deadline. The Islanders cannot afford to repeat the mistake of letting Tavares walk out the door without compensation. So, Lamoriello may be forced into some tough decisions come the trade deadline with top-six forwards Anders Lee, Jordan Eberle and Brock Nelson, all headed toward unrestricted free agency. The Islanders can’t have this storyline loom over this season as Tavares’ contract situation did last season. One thing’s for sure, general manager Lou Lamoriello will have his work cut out for him in either extending or trading these players. Together, Lee, Eberle and Nelson represent much of the team’s offense, especially now with Tavares off the roster. Lee had a breakout season playing alongside Tavares, scoring 40 goals and 62 points in 82 games. It remains to be seen how he adapts to life after JT. AS for Eberle, he played mostly on a line with Barzal, so expect him to put up similar production as last season’s 25 goals and 59 points. Odds are that both players will be extended beyond this season. As for Nelson though, he’s a little tougher to predict. The streaky centre scored just 19 goals and 35 points after scoring a career high 45 points the season prior. At 26 years old age, it’s unlikely that Nelson will “break out” anytime soon and depending on his salary demands, the Isles could look to move him ahead of free agency. Any takers?